Please join u s for our neighborhood Easter Egg Hunt at 11am at the Amenity Center this coming Saturday, April 20th! 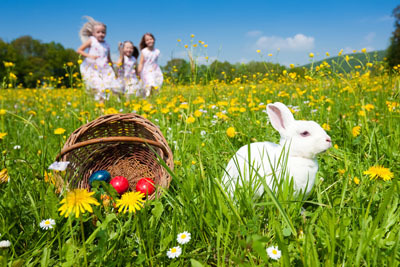 The Easter Bunny will be “hiding” 2,000 eggs in the big field and will be available for pictures with the kids! Please do not bring your kiddos up any earlier than 10:45am so that we have time to hide the eggs, and please carpool/ride your bikes, if you can!